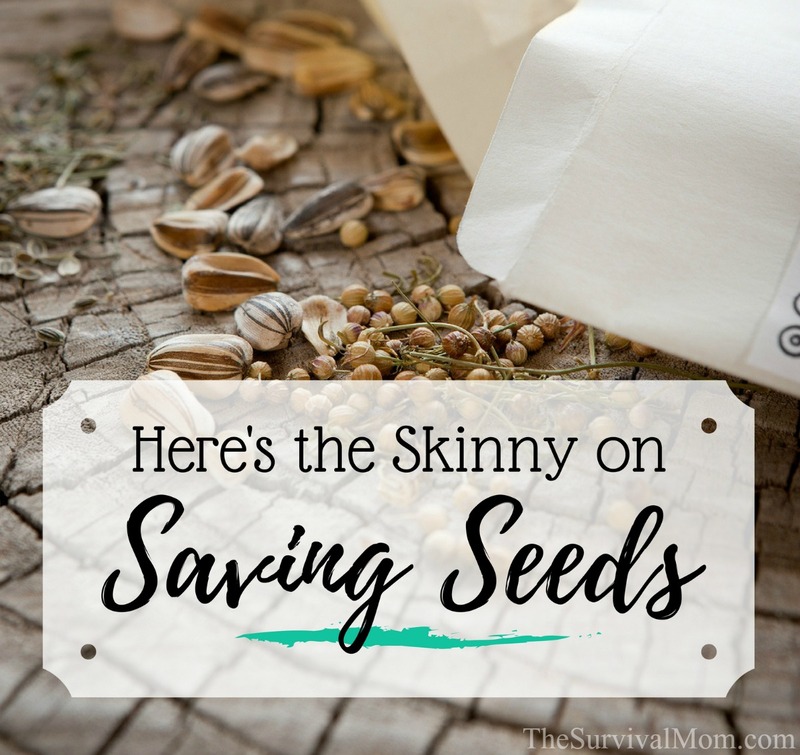 As summer begins rolling into autumn, it’s time to get busy saving seeds from your summer harvest and learning how to save seeds. First, remember that HEAT and MOISTURE are the enemies to seed viability after storage. In other words, just the things that make a seed germinate when planted are the same things that will kill them during storage and prevent germination later when planted. Even if the poorly stored seeds germinate, they may produce weak, spindly plants that do not produce fruit or vegetables. You may get carrot sprouts but never any root bigger than a thread even after months of growing. When stored properly, some seeds can last 5-10 years, but this depends on the type of seed. Some seeds don’t do well the second year no matter how good the storage conditions. Seed banks use climate controlled environments (temp/humidity) to store their seed banks and grow them out every second or third year. Fedco Seeds has a great chart on Seed Saving for Beginnners which gives great information including seed longevity. Most seeds store well for 2-3 years, but there are wide variations. For example, onion will only last one year and leek will last two at the most. Cucumbers, melons, and tomatoes can last up to ten years. I have successfully grown tomato plants from seven year-old seeds. Remember, though, the younger the seeds, the more vigorous the plants will be. If you are faced with an emergency where you had to get a garden in and survive off what you produce, you will also need to harvest seed from that garden so you don’t use up all your precious seed bank and have nothing left for the next season. If your emergency is such that you have enough time to grow a garden, you may need to do it for more than just one season before you get any kind of meaningful harvest. There is no substitute for experience in the garden. I recommend a fantastic book by Steve Solomon called Gardening When it Counts: Growing Food In Hard Times. His premise is that you are gardening because you are going to live on what you grow so you cannot afford to waste money or to fail. This book was not written specifically for any particular state or zone and is not for the Square Foot Gardening crowd but it is full of extremely valuable advice gained from decades of experience with subsistence gardening. He also discusses seed longevity and seed saving. I highly recommend the book. In an ideal situation, you would be growing your seeds every year and saving seeds from the most vigorous plants and the best fruits. This way your seeds will always be fresh. Even if you live in an apartment, you can practice growing seeds on your balcony in pots. That said, you may purchase seeds for your garden and only plant some and save the rest for the next years. I do this, and it’s a great money saver. When you have seeds to store, they should be stored in an airtight container in a cool, dry place. A mason jar in the refrigerator is ideal. Adding a desiccant, oxy pack, or pumping down to vacuum would also improve shelf life. Do not store seeds in a frost free freezer without making sure the container is airtight. Ever seen an ice cube left too long in a frost free? It evaporates. This will kill your seeds. Seeds need to maintain a low level of moisture to survive. If you buy your seeds in a #10 can, keep it in the refrigerator. Every 10 degree F increase in temperature above standard conditions combined with a 1 percent increase in the moisture content of the seed, cuts the storage life of the seed in half. Last but not least, make sure you purchase good quality seeds to begin with. Some seeds are nearly worn out when you get them. If you purchase seeds that have been stored in an outside nursery with the lovely trays of flowers, under a mister system, they are in trouble. I was at a “big box” garden center the other day and the seed envelopes were under the shade cloth outside, in the heat, near the flowers. The packages had been so damp they were bent over. They had probably been out there all summer. I checked the envelopes and the seeds were loose in the packet and not inside a foil pack inside the envelope. At a “supercenter” I went to, the seeds were inside the air conditioned part of the store and well away from any moisture. These would be a much better bet. The best place to get seeds for storage is through mail order or order online from a reputable dealer. My favorite is Fedco Seeds for quality, price, and customer service. There are several other good ones as well. These seed dealers store their seeds appropriately and test germination each year for each lot. Guest post by Marta Waddell. Marta is a master gardener for the University of Arizona, a speaker and trainer. Do you like Seed Savers Exchange? Yes I do. Seed Savers Exchange is a valuable resource for open pollenated seeds which will breed true in your garden. You can harvest the seeds you grow and use them in subsequent plantings. Look for varieties that will do well in your area with your climate and then cultivate them each year. Humans not being able to reproduce is a good thing, John. Too many pepole mucking up the planet as it is. I choose not to have kids. I’m not fond of them one bit. Thanks for the catalog recs! I am moving to Prescott, AZ in September and plan on having a large garden there so this vid came at a good time. Love your vids! I'm attempting SFG. It's working, but I'm still a novice. Why won't "Gardening When It Counts" work for SFG? Square Foot Gardening is great if you have ample money to spend on amendments for your soil and plenty of cheap water for irrigation. It is ideal if you have limited space to work with. I had several SFG beds at one time and loved them. I still have one 4×12 raised bed in operation. However, as I grow more vegetables for my family to live on and not just as a hobby, I find that wider spacing requires less soil amendments, less water, and this translates to less financial input. The plants do not have to compete with each other for resources if you have not supplied enough. "Gardening when it counts" can still give you valuable information on saving seeds, etc. even from your SFG. Good luck with your garden and may your harvest be bountiful. Books I recommend related to this: Seed to Seed by Susanne Ashworth, How to Grow More Vegetables* by John Jeavons, Breed Your Own Vegetable Varieties by Carol Deppe, How to Store Your Garden Produce by Piers Warren, and The Self-Sufficient Gardener by John Seymour. 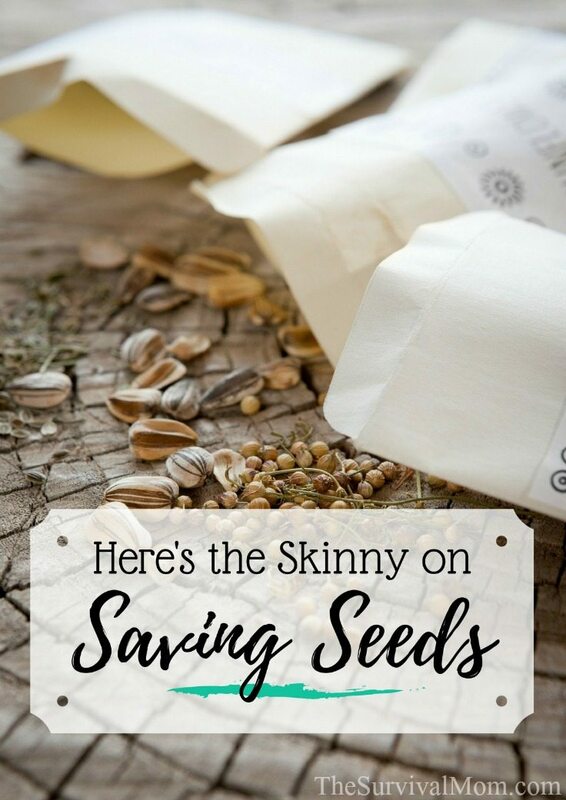 Seed catalogs I recommend: Seed Savers Exchange, Bountiful Gardens, Baker Creek Heirloom Seeds, Abundant Life Seeds, Southern Exposure Seed Exchange. If you want excellent info on growing your produce also get the catalogs from Territorial Seed Company and Johnny’s Selected Seeds. Try to make sure you get open pollinated seeds. They will breed true and the genetics tend to be stronger for long term saving.